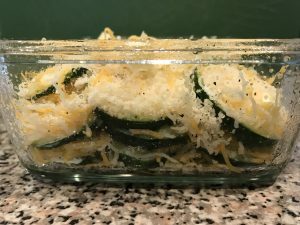 Now that my husband has been doing the Keto diet for over a year he has grown a little tired of zucchini. 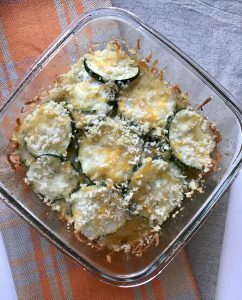 The thing with zucchini is it’s versatility and low net carb value make it a staple in his diet. Burnt out on zoodles? 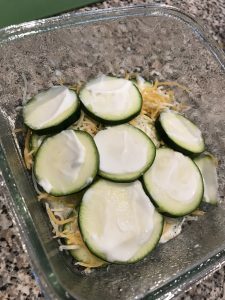 Over zucchini boats? I’ve got you covered! 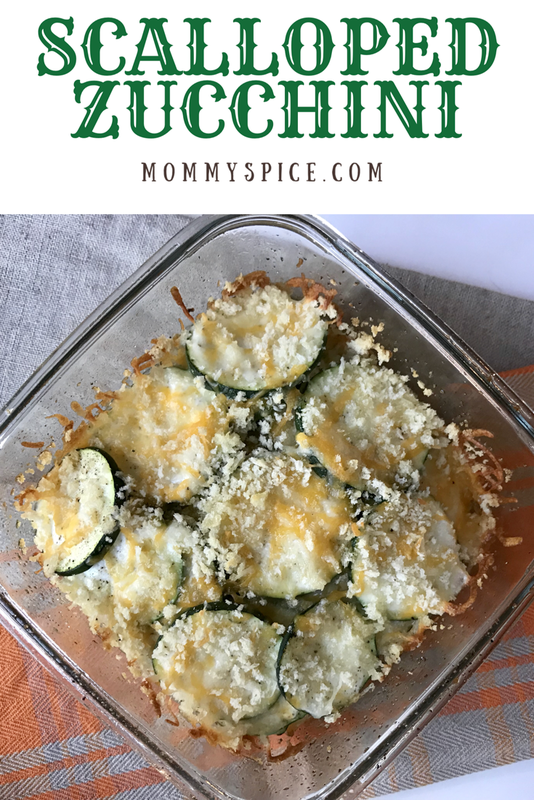 Enter my new scalloped zucchini! Preheat your oven to 350 degrees. In a small glass baking dish coat the bottom and sides in non stick spray. 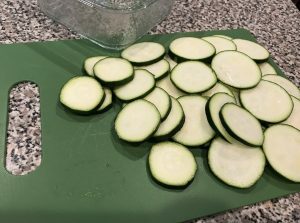 Slice your zucchini and start to layer. First a layer of zucchini, topped with 1 tablespoon Greek yogurt, sprinkle of S&P, 1 tablespoon of cheddar. Second layer of zucchini, another tablespoon of Greek yogurt, S&P, tablespoon of cheddar. Third and final layer of zucchini, top with your last tablespoon of Greek yogurt, S&P and all remaining cheese. Final step is to sprinkle on your panko and break up your butter over the top over everything. Bake uncovered 20-25 minutes or until cheese starts to brown. Enjoy immediately. Here are some photos of the process of layering your dish and what it should look like before going into the oven to bake. This was a total hit. I didn’t tell my husband what I was making for dinner. The presentation alone sparked his interest, is this zucchini he asked? Needless to say he ate ALL of it before the rest of the meal, which just so happened to be one of his favorite chicken dishes. I had an immediate request to make it again soon and at only 5 ingredients how could I say no? 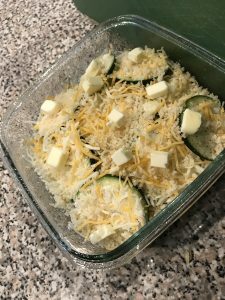 Easy, cheesy, Keto and delicious! Be sure if you’re making this side dish for more than one person to double the ingredients.